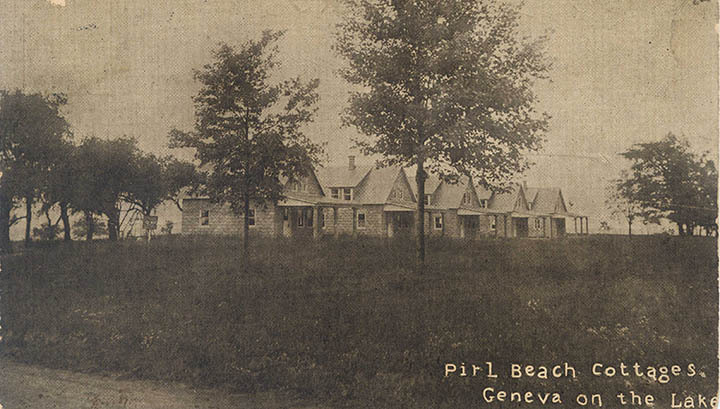 The cottages at Pirl Beach were, according to a 1913 newspaper article, built by L.E. Woodworth of Ashtabula. He arrived in the community October 1913 and planned to live in one of the cottages with his wife and son while he built the other three. Based on the above photo postcard, at least five cottages stood at Pirl Beach. Our family (from Canton)and our cousins from Warren started vacationing at Pirl Beach (bewtween GOTL & Madison OTL from 1958-71). 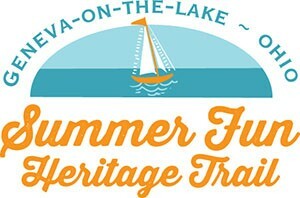 What great memories, Ma & Pa Bush’s Corn Stand, Madsens Donuts, Pop Perra’s Kiddie Land, the go-karts. We would stay for 2 weeks swimming all day then burgers & dogs on the grill. Then we’d have nightly softball & touch football games in “The Bowl” a park on the grounds with all the other kids from the other cottages refereed by my dad “Uncle Eddie” to all the kids. Only 1 night, the last Thursday did we hit the strip. Oh what memories! I spent the summer of 1942 in Pirl Beach (at age 16) and worked part time for the manager pulling weeds and such. Also swam every day. My Pittsburgh relatives had a reserved cottage there for many years. My aunt and cousins stayed. My uncle commuted weekly in his Buick. The Pirl Beach manager used a Model T Ford truck for his chores.